* New!! My Xmas Cards – Design & order real greeting cards for xmas… Free download! 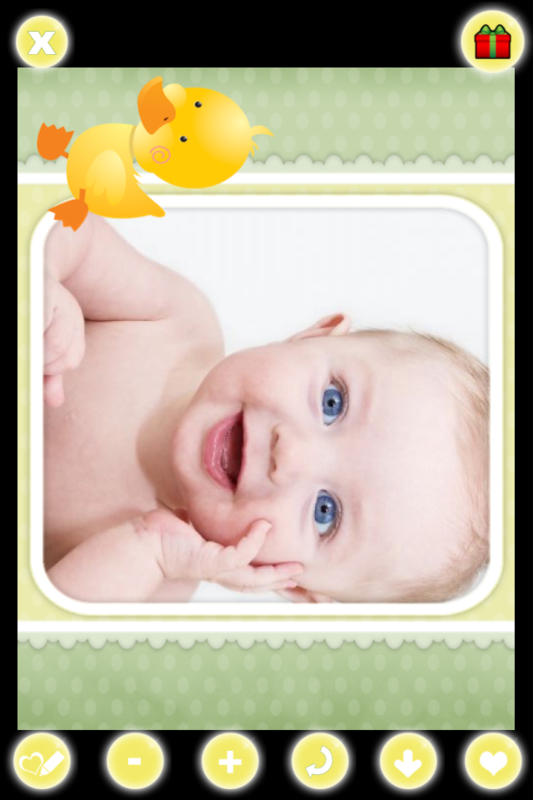 Order photo magnets with your baby photo on them using iLove Baby Photos free iPhone app! 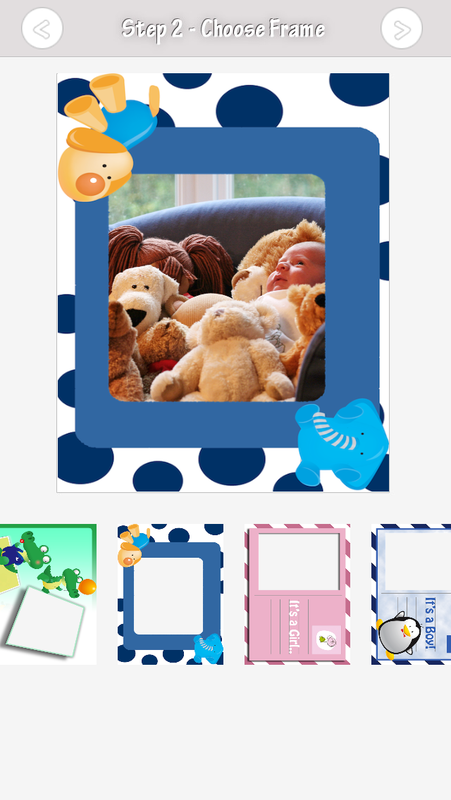 From iPhone app to reality – using iLove Baby Photos you can create real magnets to give as gifts to your friends and family and of course, keep your own copy of your beautiful baby photo! Decorate your baby photos! 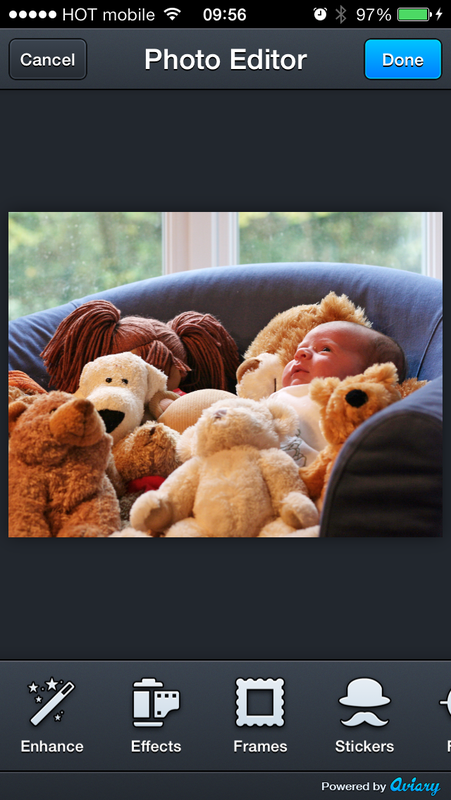 iLove baby photos allows you to frame your photos with cute frames. We know you love taking photos of your baby. Now you can frame them! The app supports multiple languages including: Arabic, English, German, Spanish, French, Hebrew, Italian, Japanese, Malay, Thai, Chinese and Vietnamese. First select a photo using the main menu. 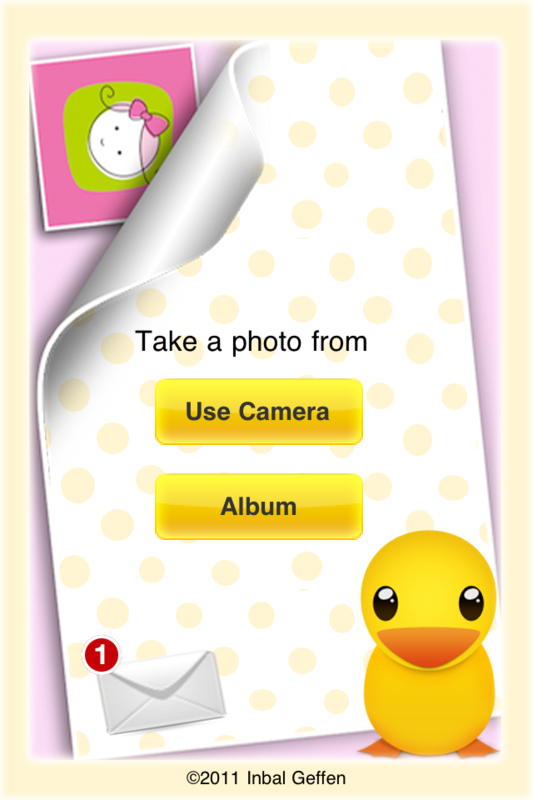 You can choose a photo from the album or take a picture using the camera. If you have any messages, a badge will appear on the envelope. You can click it to read the message. I chose a photo.. now what? The photo you chose will appear in a frame. You can change the frame using the “Frame” button. Click the “-” (minus) button to make the photo smaller and the “+” (plus) button to make the photo larger. You can drag the photo around to relocate it. Click the “Rotate” button to rotate the photo. Click the “Save” button to save the photo to your photo album. Click the tap2print button and order the photo you created as a magnet. OK… That’s nice.. but the coolest feature is – printing a magnet using the app! 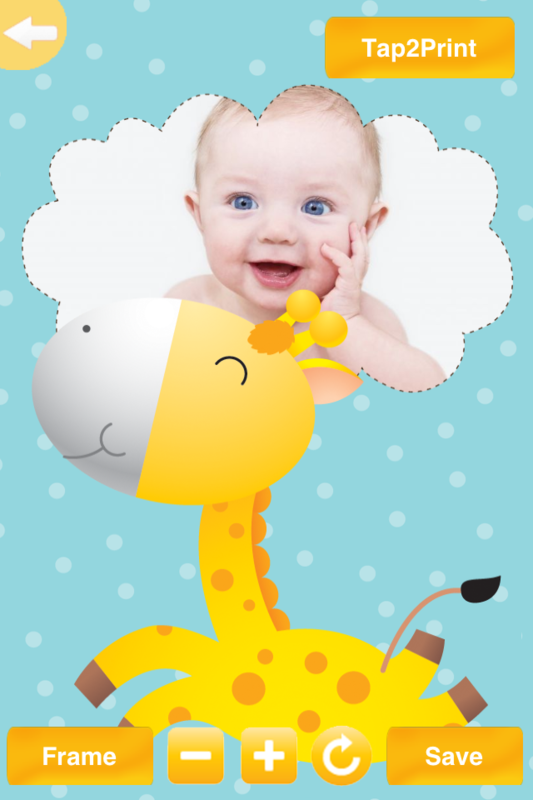 Look at this cute magnet created using the app. 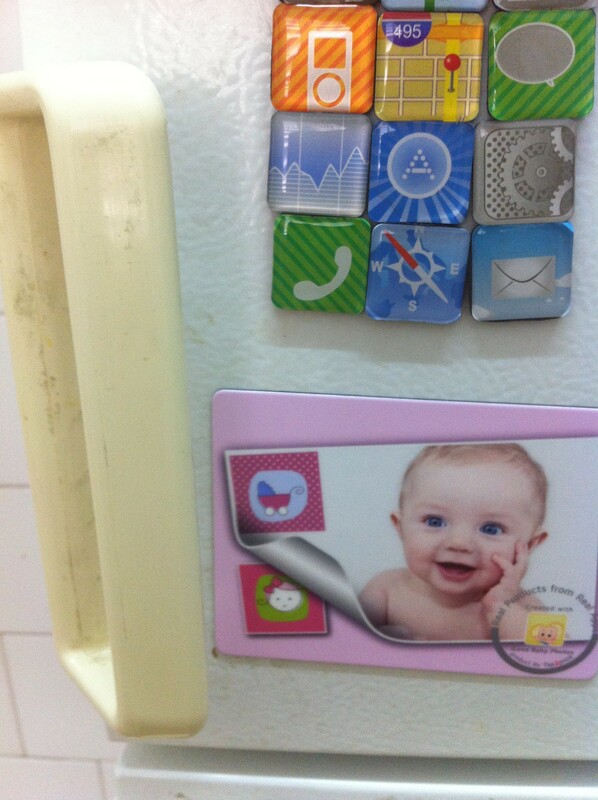 This magnet was ordered via the iLove baby photos app… Download iLove baby photos and start creating your own magnets! 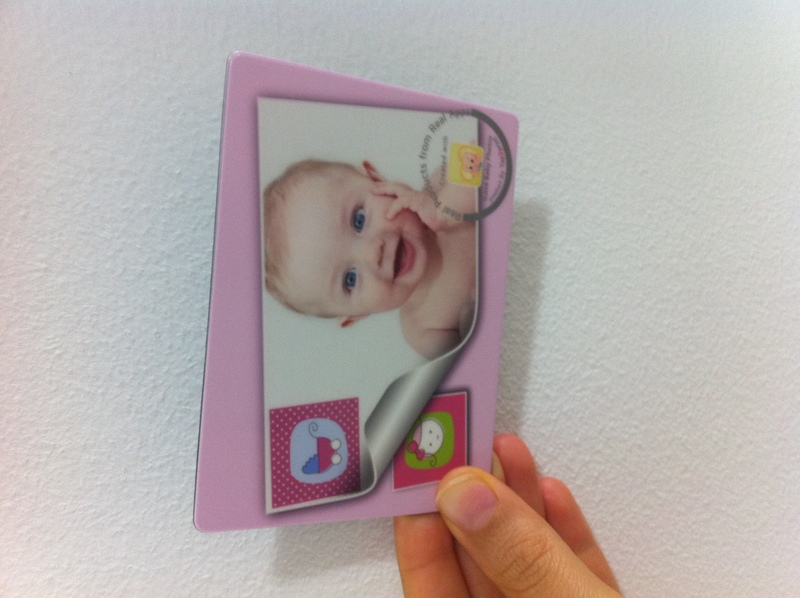 Just click the tap2print button to order 4 big sized high-quality magnets with your baby photo printed on them. Have fun! New!! My Xmas Cards – Design & order real greeting cards for xmas… Free download!